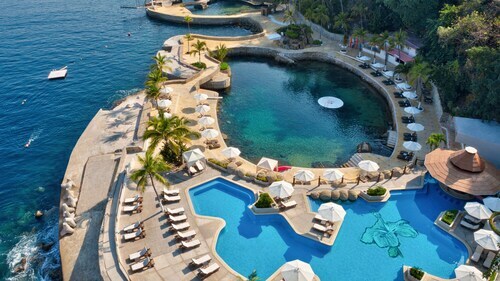 Expedia can help you save heaps with a Las Brisas travel package. With all that extra money in the bank, you might even like to lock in a few more nights. Our enormous global database allows you to browse more than 321,000 properties worldwide and 400 partner airlines. With such a broad range of options, crafting your dream vacation will be a breeze! We've got all the sightseeing info you need for your forthcoming trip to Las Brisas. Grab your travel diary and prepare to start filling up that itinerary. Wouldn't mind adding some greater meaning to your travels? Make a pilgrimage to Chapel of Peace. No matter your beliefs, it's a fabulous place to observe and better understand the local faith. Still have time on your hands? If you're searching for a little spiritual enlightenment on your travels, make your way to Capilla Del Atardecer. Who knows, you might even glimpse the answers to some of life's most puzzling questions! Not too sure about the accommodations available in Las Brisas? You'll find as many as 5 places to stay. Cheap vacations and luxury getaways — Expedia can help you out. Kick your feet up and relax the Encanto Acapulco (Jacques Cousteau 51) or the Las Brisas Acapulco (Carretera Escenica, 5255). Whichever one you opt for, you'll be sure to have an excellent stay! All ready for your trip to Las Brisas? Got those plane tickets booked? Get ready to be received by a crowd of friendly faces at General Juan N. Alvarez International Airport (ACA). The terminal is based 9 miles (14 km) southeast of the central area. 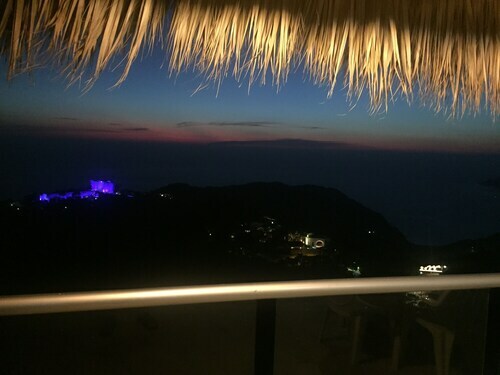 Located on a verdant hillside overlooking the blue waters of the Pacific Ocean and the Acapulco Bay, Las Brisas Acapulco is hidden among 40 acres of hibiscus gardens, exuding a sense of secluded elegance in this exclusive vacation destination. Situated near the beach, this villa is 1.4 mi (2.2 km) from Chapel of Peace and 2.4 mi (3.8 km) from Icacos Beach. Capilla Del Atardecer and Botanical Gardens of Acapulco are also within 3 mi (5 km). Situated near the beach, this vacation home is 1.1 mi (1.8 km) from Icacos Beach and 2.2 mi (3.5 km) from El Rollo Acapulco. Chapel of Peace and Botanical Gardens of Acapulco are also within 2 mi (3 km). 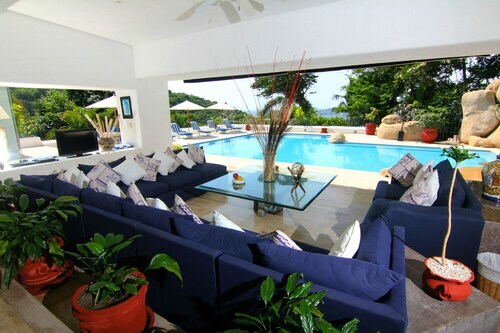 These vacation homes are located throughout the area in Acapulco. Situated in Acapulco, this vacation home is close to Chapel of Peace, Icacos Beach, and El Rollo Acapulco. 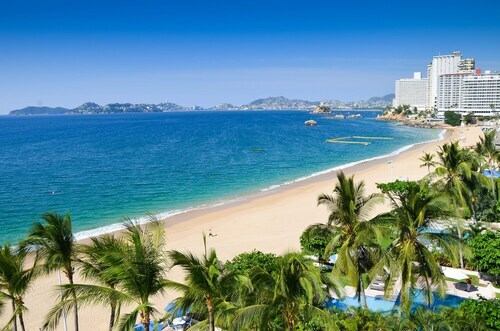 Also nearby are Capilla Del Atardecer and Botanical Gardens of Acapulco. 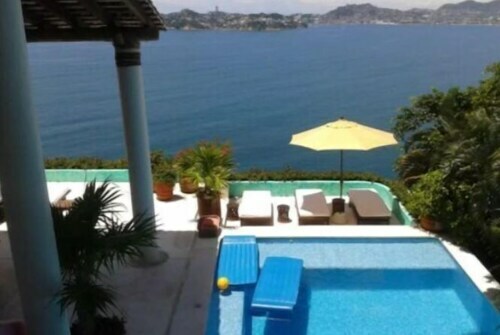 Situated in Acapulco, this vacation home is 0.4 mi (0.7 km) from Chapel of Peace and 2.3 mi (3.8 km) from Icacos Beach. Capilla Del Atardecer and Bahia de Puerto Marques are also within 3 mi (5 km). Situated in Acapulco, this property is 1.1 mi (1.7 km) from Chapel of Peace and 2 mi (3.2 km) from Icacos Beach. Capilla Del Atardecer and Botanical Gardens of Acapulco are also within 3 mi (5 km). 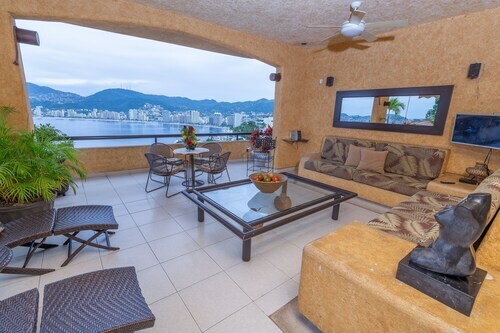 This family-friendly Acapulco vacation home is located on the waterfront, within 2 mi (3 km) of Icacos Beach, Botanical Gardens of Acapulco, and Chapel of Peace. El Rollo Acapulco is 2.1 mi (3.4 km) away. Fri., 21 Jun. - Wed., 31 Jul.